At her core, Vanessa Van Edwards is a professional people watcher. As a behavioral researcher and “recovering awkward person,” her life’s work is getting to the bottom of the science of people. In this episode, we discuss her new book Captivate: The Science of Succeeding with People and a whole lot more. 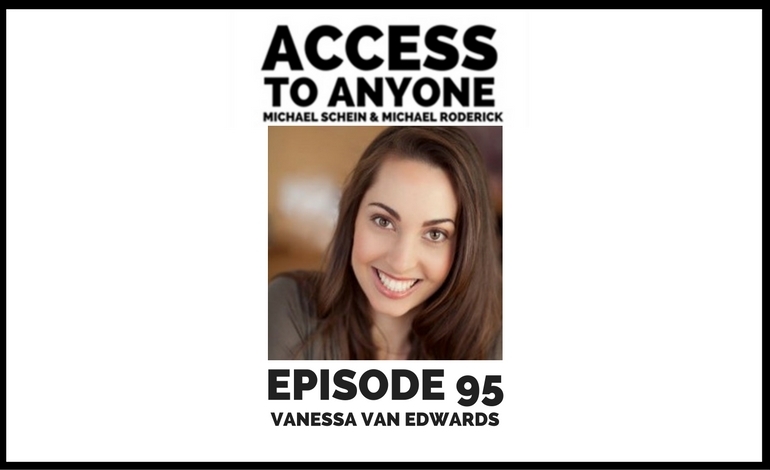 Vanessa Van Edwards’ Science of People workshops and courses teach individuals how to succeed in business and life by understanding the hidden dynamics of human beings. Vanessa is a Huffington Post columnist and Penguin author. She has been featured on NPR, The Wall Street Journal, the Today Show and USA Today. She has written for CNN, Fast Company and Forbes, has spoken at the Consumer Electronics Show, and consults for Fortune 500 companies worldwide.